Hannah Gröndahl specializes in mergers and acquisitions and private equity transactions. Hannah advises both public and private domestic and international clients, from PE funds and portfolio companies to closely held companies and industrial clients. 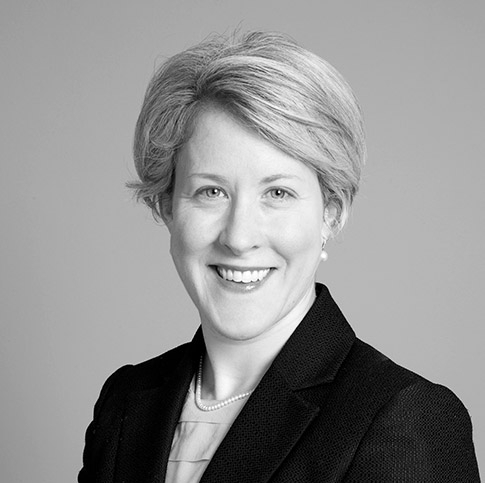 Hannah has experience from cross-border transactions, equity capital raisings, secondary buyouts, re-structurings, carve-outs, joint ventures, IPOs and listings, as well as general corporate law advice. Hannah is originally from the US and worked previously at law firms and companies in Stockholm and London. Book chapter: “Are Agency and Responsibility Still Solely Ascribable to Humans? The Case of Advanced Medical Decision Support Systems” in P. Duquenoy, C. George & K. Kimppa (eds.) Ethical, Legal and Social Issues in Medical Informatics.Hershey: IGI Global, 2008.